Help support The Lily Sanctuary by shopping at one of our Partner Affiliates! 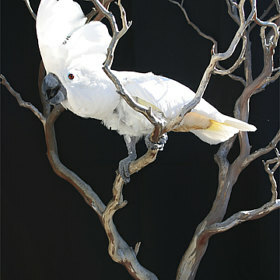 Help support the Lily flock by purchasing a wonderful hand made gift from our Etsy shop. 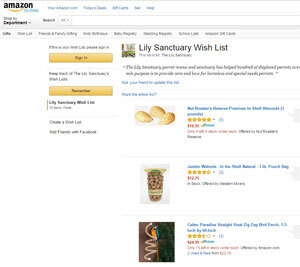 Sign into Amazon Smile, set The Lily Sanctuary as your preferred charity and any eligible items you purchase we will get a donation. The key is, you have to make sure you sign in to Amazon Smile, it won’t automatically direct you there. Use coupon code HELPLILY at checkout and get 40% discount and free shipping on any toy Ordered for the birds at The Lily Sanctuary. Have you been thinking about donating, but you aren’t sure what to get and where to send it? Let Amazon do the work for you! Choose an item in the list and add it to your cart, check out as normal and viola the sanctuary will receive a package with the items you chose to donate. 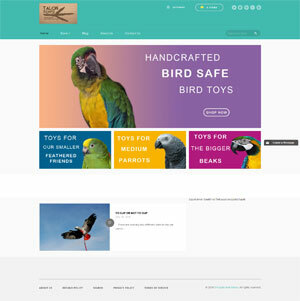 My Safe Bird Store is offering FREE SHIPPING for items donated to any rescues listed on this site. Please remember that these rescues work on donations. With your help, the lives of these birds can be better enriched. You search or shop, they give. Raise money for Lily Sanctuary just by searching the web and shopping online! Add the Good-Search toolbar to your browser. Every time you search for anything on the internet they will donate to the Lily Sanctuary. The Lily Sanctuary is proud to be a Partner for Pets! BISSELL and LostPetUSA.net have teamed up to help organizations like ours raise money, and now you can help too! When you buy selected products on Bissell.com, Bissell will donate 10% of your purchase to Lily Sanctuary. You’ll save 10% and receive free shipping. 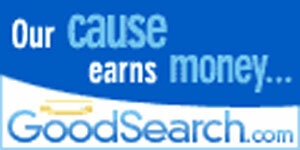 Each purchase helps us qualify for a quarterly $5,000 giveaway. Now that’s a deal for all of us! Use the code ADOPT and select THE LILY SANCTUARY at the BISSELL checkout to receive the discount. Register your Ralph’s card simply by visiting their Community Partner Program weblink. The PNO for The Lily Sanctuary is 80351. Remember, purchases will not count for The Lily Sanctuary if you do not register your cards! Every year you need to renew your registration. Look on the bottom of your receipt to be sure your purchases are counting towards our cause. Your Ralph’s number can be used at Food4Less. Give and you will receive. Shop for The Lily Sanctuary now! Help The Lily Sanctuary Every Time You Shop. 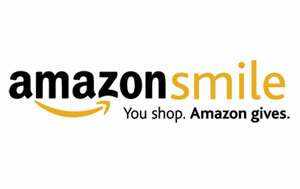 Shop using iGive, up to 26% of your purchase at over 1,000 great stores is automatically donated to The Lily Sanctuary. Join Free. They will donate at least $10. $5 for using iGive & $5 for your 1st purchase. The donations keep growing as you keep shopping.